Welcome to Linda's Little Wordshop - WHO IS LINDA? 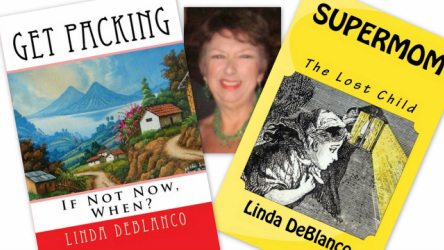 Why on earth should you read any of Linda DeBlanco's books or articles? Well, here's the straight truth. Linda is and always has been, an ordinary, everyday woman who lived (ever since 1942) an ordinary middle-class life in the United States, and eventually retired and now lives on the shores of beautiful Lake Atitlan in Guatemala. 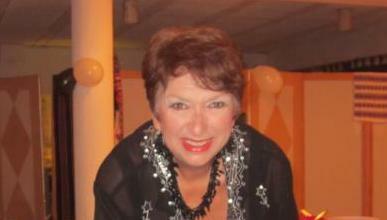 These days, Linda is an ordinary retiree living very happily on Social Security. Unless, that is, you would like to buy her books or publish her articles, which would make her EVEN happier! Unless you can truly relate to ordinary everyday life, you will likely not find anything that will be interesting or compelling for you in Linda's writings. If you have been lucky enough to have lived outside "the norm," so much so that the mundane matters of ordinary life have not touched you, then by all means don't bother with Linda's writings. On the other hand, if you can relate to normal life happenings, then you might want to give Linda's writings a second thought. For example if you have ever been married and maybe even divorced, brought into the world and raised children, worked for a living, wanted to be happy but couldn't quite get there, dreamed of seeing the world but didn't know how, struggled with never enough money and other ordinary challenges of an ordinary life, then you must push one of the "ORDER" buttons and receive your copy/copies of one or both of Linda's books or contact her to arrange for publication of an article. Both e-book and paper pack formats are available. Click the "more..." button above for more information about Linda's books and/or to preview articles.